Webster University’s yearlong Centennial celebration was capped with a Centennial Celebration Gala that raised more than $1 million for student scholarships. 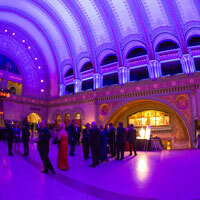 More than 500 people attended the elegant event in an evening that brought together faculty, staff, students, Board of Trustee members, alumni, retirees and community leaders to the St. Louis Union Station for dinner and entertainment including Webster students and alumna Jenifer Lewis. Webster University alumni Yulia Kotets, Douglas Talleur, Jon Frank, Amanda Wyatt and Anna Barton were honored among 102 St. Louis-area educators to receive an Emerson Excellence in Teaching award. Each received a Tiffany & Co. crystal apple, as they are honored for their vital role in shaping students’ lives. Award recipients will have the opportunity to apply for a Gold Star Grant from Emerson, to be presented in spring 2016. Webster University’s yearlong centennial celebration included a contest to compose a Fight Song for Webster Athletics. The contest, which was open to submissions from all faculty, staff, students and alumni, was won by Webster alumnus Michael Hillstrom ‘94, whose “Go, Go, Gorloks!” earned him a $2,500 prize and a place in Webster history. Mark your calendar for Dec. 1, and show the world what makes Webster University a truly unique and global university! The social media hashtag #GivingTuesday was created to transform how people think about, talk about, and participate in the giving season. #GivingTuesday inspires people across the globe to give back to the causes they each value and encourages all of us to band together to improve the world in which we live. More than 200 guests attended the 8th annual Webster Vienna Alumni Symposium for a panel discussion full of distinguished speakers discussing "Austria and the EU: 20 Years of Challenges, Opportunities and Lessons Learned." A reception and networking evening followed. 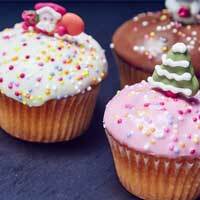 The Webster University Alumni Association invites Webster community members to bring their families to "Cupcakes with Santa" on Saturday, Dec. 5, at the Love Foundation Alumni House. Follow Santa's elves as they guide you through the Alumni House to the North Pole!